The Bahamas Financial Services Board has selected Ian Fair as the Recipient of its 2014 Lifetime Achievement Award–a recognition of outstanding and sustained performance and contribution within the industry. The Bahamas Financial Services Board (BFSB) has selected Ian Fair as the Recipient of its 2014 Lifetime Achievement Award–a recognition of outstanding and sustained performance and contribution within the industry. 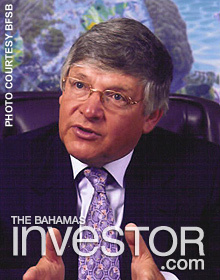 Fair has been involved in business and particularly the financial services industry in The Bahamas since 1969. 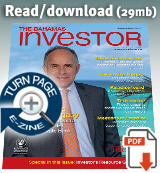 He brings with him a wealth of experience and an in-depth knowledge of the industry, specifically of the international aspects of wealth management. He currently serves as the Chairman of Bahamas First Holdings Ltd, the largest general insurer in the country, Chairman of Butterfield Trust (Bahamas) Ltd and Chairman of the Bahamas International Securities Exchange (BISX). He was the founding chairman of BFSB in 1998, serving for two consecutive terms until 2002. “There have been many highlights in my career, but ranking right at the top was the formation of BFSB. It gives me enormous satisfaction is to see how it has grown and changed over the years and continues to be a focal point for the continued development and promotion of our industry,” says Fair. The Lifetime Achievement Award will be presented at the 14th Annual FSI Excellence Awards Gala Dinner on November 14, when BFSB also will recognize the Executive of the Year, Professional of the Year, Mentor of the Year, Achiever of the Year, and Student of the Year. Also recognized will be recipients of the Financial Services Development & Promotion Award and the Minister’s Award, the latter selected by Ryan Pinder, Minister of Financial Services. The Office of the Data Protection Commissioner, along with the Department of Information Technology and the Cyber Crime Unit of the Royal Bahamas Police Force, will hold a symposium on data protection October 9, 2014 at the Melia Nassau Beach Resort.